Phil is one of the founders of Carlson Caspers. He is a litigator with 27 years of experience concentrated on complex, high technology patent matters. Phil has also been the lead counsel in over a hundred post-grant proceedings in the USPTO. Leveraging a technology background and real world experience, Phil brings sound business judgment to every case and excels at credibly transforming the analysis of complex technology and patent issues into easy to understand arguments and delivering those arguments in powerful, visual form. Early in his career, Phil got the chance to demonstrate those skills. He was part of a two-attorney team that tried a patent case on photoelectric sensors for Banner Engineering (Banner Eng’g Corp. v. Tri-Tronics Co.). The team won that case, invalidating the patent and ultimately winning a decision to recover attorney fees. “The Banner Engineering case gave me some early, invaluable insights into what it takes to prepare and try a patent case.” Leveraging that early experience, from 1996 to present, Phil has been lead counsel in dozens of patent matters, representing patent-savvy companies such as 3M, ADC Telecommunications, TE Connectivity and Emerson Electric companies. Phil has earned the reputation of getting consistent positive results. Phil’s wins include a $30 million judgment in a patent case involving telecommunication infrastructure and an impressive $75 million result for ADC Telecommunications involving wireless OFDM technology. “The OFDM project was truly one of my most professionally rewarding projects,” says Phil. “In 2004, I was asked to assess the value of a pending application relating to a divested business unit, and monetize it. Even though the underlying product was a wired communication system, we concluded the communication protocol was potentially relevant to the next generation emerging wireless standards. At the time the project came in, I had no issued patent claims to work with, the wireless standards were still evolving, and there was no product on the market.” Phil developed a long term strategy to develop and market the portfolio and ultimately negotiated the sale of the portfolio for $75 million in 2011. 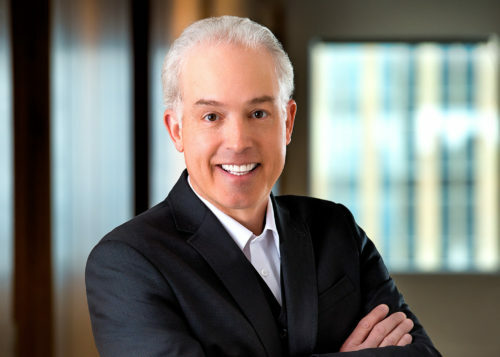 Phil is consistently featured as a “Super Lawyer” and listed among the Top 100 Super Lawyers by Minnesota Super Lawyers. He is listed in every edition of Best Lawyers since 2001 and was named “2018 Lawyer of the Year—Litigation-Intellectual Property and 2016 Lawyer of the Year—Litigation-Patent. IAM Patent 1000 and Managing IP Magazine has repeatedly listed Phil among their list of IP Stars. Completed one year of graduate school course work while employed as an engineer in Honeywell’s Solid State Electronics Division.